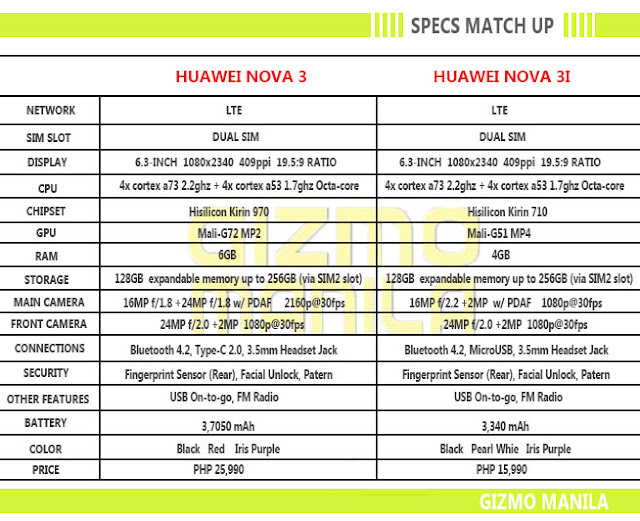 Home / huawei / nova 3 / nova 3i / smartphone / specs / Huawei Nova 3 and Nova 3i Specification Match Up. 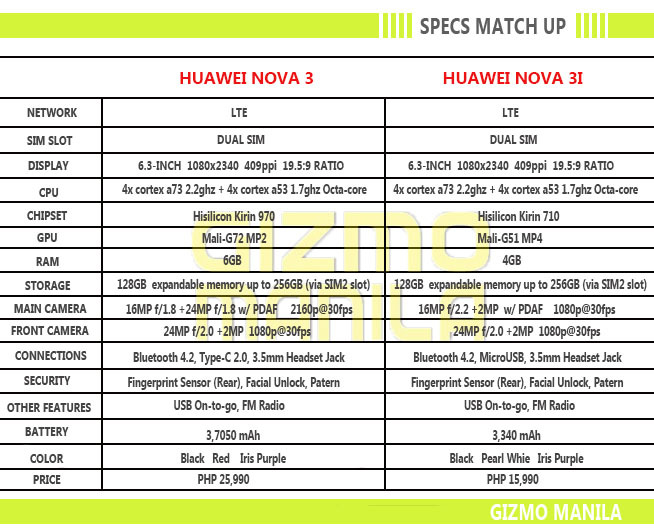 Huawei Nova 3 and Nova 3i Specification Match Up. The Nova 3 is powered by Kirin 970 chipset same Processor uses for P20 and P20 Pro while the Nova 3i comes with Kirin 710 chipset. 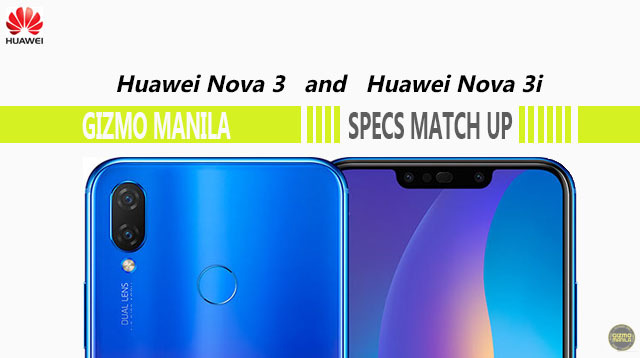 The Huawei Nova 3i is set to launch in Manila on July 28 at Glorietta Mall in Makati. Pre-order you Huawei Nova 3i and get FREE Speaker.